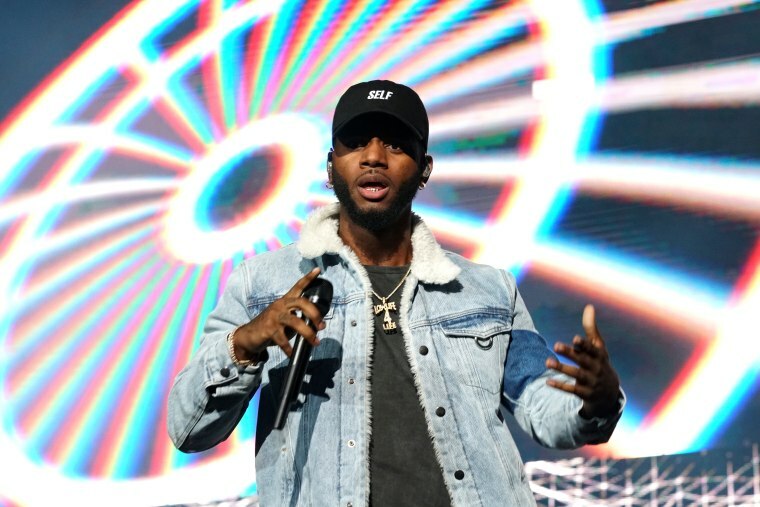 Bryson Tiller has said he was depressed in when he recorded 2017 album True To Self and suggested this was to blame for the commerical performance of the record. True to Self was released in March of last year and hit No.1 on the Billboard album chart, selling over half a million copies. However, in a tweet sent on May 6 Tiller appeared to link his depression to a perceived failure in his career, writing: "statistically, we didn’t do that great because of it [depression]." Tiller's tweet was sent in response to a fan who had screenshotted older tweets from the R&B singer in which he was apologizing to Twitter users criticizing True to Self. In a quote tweet he then outlined that he was depressed when he made the project and that he feels it is audible in the music. This is what he believes is down to a perceived lack of success and that his depression "ended" at the end of 2017, leaving him clear to work on new music. Earlier this year Tiller joined Rihanna and DJ Khaled on stage at the Grammys for a performance of their collaborative single "Wild Thoughts."